Click on Book Fair to shop Online! Beautiful Creatures by Kami Garcia and Margaret Stohl, is an exquisite breathtaking mystery. Engage your mind to the wonders of something beyond normal, and the book will reveal the hiddens secrets that was meant to be seen. 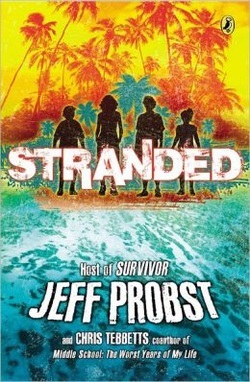 Stranded by Jeff Probst, is a book full of adventure and survival skills. Learn about how these 4 kids spent there time on a stranded island with no parents. Cinder by Marissa Meyer, is an adventure packed love story with a touch of mystery. Immerse yourself in this book, and it will leave you wanting for more. Deck Z by Chris Pauls and Matt Solomon is a book about being trapped aboard the Titanic with the walking dead.